Similar to the verb systems of other Germanic languages, the English verb system is largely periphrastic, which means phrases of two or more words express grammatical relationships that could otherwise be expressed by the inflection of single words. As described in the article The English Verb System for ESL Students—which presents a general overview of the English verb system including verb tense, verb aspect, verb mood, and verb voice—English verbs express two tenses, four aspects, three moods, and two voices. The article Common English Verbs lists the three auxiliary verbs, twenty most common, and nine modal verbs that English language learners should memorize early in their English language studies. Auxiliary verbs help form verb phrases in the progressive aspect, perfect aspect, perfect-progressive aspect, and passive voice as well as interrogative sentences. Modal verbs are common English verbs that express modality, which is the expression of possibility, necessity, and contingency. Grammatical tense is the expression of location in time of an action or state. Grammatical aspect is the expression of the temporal structure of an action or state. English verbs express two tenses and four aspects for a total of eight verb forms. The term simple present tense refers to verbs in the simple aspect, present tense, indicative mood, and active voice. In the English language, the simple present tense form of verbs is used to describe habits and routines, to state general facts and truths, and to express thoughts and feelings. The article Forming the Simple Present Tense of English Verbs: Spelling Changes and Pronunciation explains the rules for forming the simple present tense of English verbs including spelling changes and pronunciation. The article Present-Tense: How to Use Non-continuous Verbs in English for ESL Students explains the use of non-continuous, or simple present tense, verbs as compared to continuous, or progressive aspect, verbs in the English language. The term simple past tense refers to verbs in the simple aspect, past tense, indicative mood, and active voice. In the English language, the simple past tense form of verbs is used to describe completed actions, to describe past habits and routines, to state past facts and truths, and to express past thoughts and feelings. The articles Forming the Simple Past Tense of English Verbs: Spelling Changes and Pronunciation and How to Pronounce and Write -ed Suffixes in the English Language explain the rules for forming the simple past tense of English verbs, both regular and irregular, including spelling changes and pronunciation. The progressive aspect is a verb aspect that expresses incomplete or ongoing actions or states at a specific time in the past, present, or future. The article The Formation and Use of the Progressive Aspect in English explains the verb phrase patterns, which require some form of the verb be followed by a present participle, for the progressive aspect as well as the use of the present progressive and past progressive in the English language. 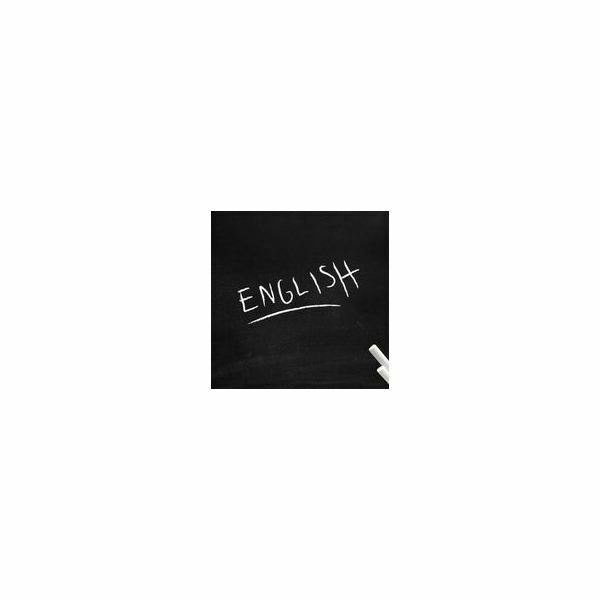 The related article Lesson Plan for Teaching ESL Progressive Tenses provides the necessary information and some suggested activities for teaching the progressive aspect to ESL students. The article How To Conquer That Present/Past Indicative and Progressive Verb Trap explains the difference in meaning among the simple present tense, the present progressive aspect, and the present emphatic forms and among the simple past tense, the past progressive aspect, and the past emphatic forms. The perfect aspect is a verb aspect that expresses and emphasizes the past, present, or future consequences resulting from past actions or states. The article The Formation and Use of the Perfect Aspect in English explains the verb phrase patterns, which require some form of the verb have followed by a past participle, for the perfect aspect as well as the use of the present perfect and past perfect in the English language. The related article Lesson Plan for Teaching Perfect Tenses ESL provides the necessary information and some suggested activities for teaching the perfect aspect to ESL students. The perfect-progressive aspect is a verb aspect that expresses ongoing actions or states that began in the past and continue to a specific time in the past, present, or future. The article The Formation and Use of the Perfect-Progressive Aspect in English explains the verb phrase patterns, which require some form of the verb have followed by the past participle been and then a present participle, for the perfect-progressive aspect as well as the use of the present perfect-progressive and past perfect-progressive in the English language. The perfect-progressive aspect is closely related to the perfect and progressive aspects. Grammatical voice is the expression of relationships between the predicate and nominal functions. English verbs express two voices. The active voice is a grammatical voice in which the direct object of the clause receives the action of the verb. The article Lesson Plan: How to Teach ESL Students the Difference Between Subject Complements and Direct Objects defines and explains the grammatical function of direct object. All six of the articles about grammatical tense and grammatical aspect include discussions of the active voice in English. The passive voice is a grammatical voice in which the subject as opposed to the direct object of the clause receives the action of the verb. The article The Formation and Use of the Passive Voice in English explains the verb phrase patterns, which require some form of the verb be followed by a past participle, for the passive voice as well as the use of the passive voice in the English language. Modality is the expression of the subjective attitudes and opinions including possibility, probability, necessity, obligation, permissibility, ability, desire, and contingency of a speaker. In English, modality is expressed through grammatical mood and modal verbs. English verbs express three grammatical moods. The indicative mood expresses assertions, denials, and questions of actuality or strong probability. All six of the articles about grammatical tense and grammatical aspect include only instances of the indicative mood. The indicative mood is the most commonly used mood in the English language. The subjunctive mood expresses commands, requests, suggestions, wishes, hypotheses, purposes, doubts, and suppositions that are contrary to fact at the time of the utterance. The article The Formation and Use of the Subjunctive Mood in English explains the verb phrase patterns, most of which closely resemble the indicative forms, for the subjunctive mood as well as the use of the subjunctive mood in the English language. The imperative mood makes direct commands, expresses requests, and grants or denies permission. The article Lesson Plan for Teaching the Imperative Mood in Spanish explains the verb phrase patterns, which are identical to the base form, for the imperative mood as well as the use of the imperative mood in the English language. Modal verbs are auxiliary verbs that express modality in the English language. The article English Modal Verbs lists and defines the nine modal verbs in English as well as explains the position and use of modal verbs in English verb phrases. For definitions of the nine modal verbs in English, the series Semantics and Pragmatics of English Modal Verbs offers five articles that covers each modal verb in depth. The article English Quasi-modal Verbs lists and defines the four quasi-modal verbs in English as well as explains the position and use of quasi-modal verbs in English verb phrases. The article English Catenative Verbs explains the conjugations and uses of catenatives as well as the difference between catenative verbs and modal or quasi-modal verbs. Present participles, or -ing participles, are nonfinite verb forms in English that form verb phrases in the progressive aspect and perfect-progressive aspect as well as perform six nominal functions. The spelling and pronunciation changes for the present participial form of verbs in English are available in the article Forming the Present Participle of English Verbs: Spelling Changes and Pronunciation. For additional spelling rules for forming present participles in English, please refer to the articles ING-list: Spelling the -ing Form of Verbs Correctly, Rule 1, ING-lish: Rules 2 and 3 for Adding -ing to Verbs in English, and ING-list: Rule 4 for Adding -ing to Verbs in English. Past participles, or -en participles, are nonfinite verb forms in English that form verb phrases in the perfect aspect, perfect-progressive aspect, and passive voice as well as that function as noun phrase modifiers. The spelling and pronunciation changes for the past participial form of verbs in English are available in the articles Forming the Past Participle of English Verbs: Spelling Changes and Pronunciation and How to Pronounce and Write -ed Suffixes in the English Language.